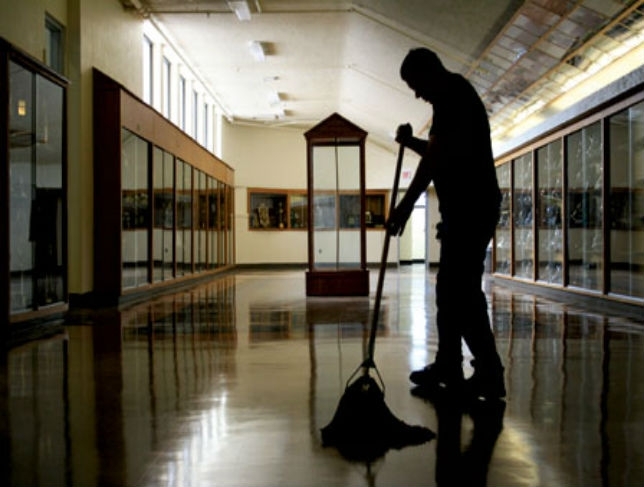 Janitor … yes but that’s not ALL he is. You step into a lift (airport, hotel, office complex) and there’s only one person in it, but they recoil into a corner of the lift, instinctively making themselves smaller as if wishing themselves to become invisible or that of the walls of the lift could open up and swallow them. The typical body language is drooped shoulders, eyes cast down and unable to make and keep eye contact. I have seen some variation of this in more than 30 different countries, they are those who our society’s materialistic value system puts into the caste of the “untouchables” – those people whom the court of public opinion has judged as unsuccessful because they typically are not making enough money that they can’t afford not to work menial jobs like cleaning toilets, public places or wait on tables. Quite often, we act as mindless agents of the public mirror by not acknowledging these people, giving them the same attention we’d give an ordinary piece of furniture in a very familiar room. The tragedy is that too many of them (there are always exceptions and interacting with these exceptional ones is always a lesson in enlightenment) have bought the judgement and so live desperately tiny lives, resenting that which they do and instinctively making themselves invisible in the presence of those they judge more ‘successful’. Don’t be fooled, sometimes the racist arrogance of a white cleaner or waiter comes from exactly the same place as that which makes the black janitor recoil (or becomes irritatingly ebullient) when you enter the lift – a sense of inferiority beaten into them by a society whose major metric of success is financial/material wealth. (a) GREET them with RESPECT: It means you look them in the eyes when you say “good morning” and smile! I am usually an unsmiling person but because this is important to me, I make the effort to smile. While not something I prescribe to everyone, I also bow because its a sign of respect in my tradition. While vacationing at a resort recently, one of the waitresses asked me “Why is someone like you bowing to the lowly people like us?” (tells you a lot about how she she is usually treated and has come to expect to be treated by guests at such places). We had a short, genuine, light-hearted chat which essentially came to “it’s something I was raised to do. You can imagine how my already great stay at the establishment became (but that’s NOT the point). (b) TIP them APPROPRIATELY: It is not so much how much you give, it is the attitude with which you do so. Again, when tipping, look them in the eye, and without using words, thank them for the service they just rendered. There’s this norm that you always tip 10% — I totally abhor it it and refuse to live by it. If the service is bad, I absolutely will not tip. If the service is great, I will tip and 10% is not the limit. Appropriate tipping is important because it usually involves the exchange of money – the very thing that is used to define ‘them’ as inferior to you. So if your attitude as you give re-enforces that dynamic that “I am better than you because I can afford to tip you” or that “this money is a big deal to you but nothing to me” – it is akin to insulting them. Giving your customary 10% tip or even a 100% tip dismissively or with a frown is just as useless when it comes to raising the spiritual energy of the encounter. (d) SHOW GRATITUDE in your SPEECH: aka say “Thank You” and mean it. Your attitude (smile) and your behavior (turn and face them when addressing them, hold the door for the ladies – yes even the cleaning lady, buy some good chocolate for no one in particular and give it as a surprise to that cleaning lady that is looking gloomy) should be consistent with your words for your gratitude to be genuine. Just remember that “janitor”, “waiter” , “cleaner” etc or whatever lowly title they may bear at that point is NOT their entire story. They are also a father’s daughter, a mother’s son, somebody’s mother, father, husband, wife, girlfriend, boyfriend, and even mentor but more importantly at that moment, they are offering a service that makes your life more comfortable. So you thank them, in word and deed for the clean sheets and fresh towels you use thanks to their hard work. Thank them for the clean rooms and bathrooms, the clean toilets at airports and the assistance with heavy bags at checkin. If you want to get an idea of just how much thanks you should give them, take good notice when you go to a hotel with poor service, dirty toilets and bathrooms etc. Bear this in mind …these are also “Ladies and gentlemen SERVING ladies and gentlemen. So will you please act like a LADY or GENTLEMAN by acknowledging that? That’s how people of perfexcellence, that’s how warriors of light behave and these light up am ember in their hearts and spirit and also builds humility in us. Humility is never a bad thing! and only the truly enlightened are capable of showing and living it instinctively. This entry was posted in The Emotional | Heart and tagged hotel, janitor, self mastery, Shibumi, travel. Bookmark the permalink. So true. It also helps to ask after the well-being of people – downtrodden or not. A very good piece sir. Many a times we dont understand how immensely our actions (or inactions) affect others. I for one try to evaluate my actions especially when it comes to interactions with others, but inasmuch as you cant and shouldnt try to please everyone, treating others well just because they are made in God’s image should be the driving force. Always nice to read from you. Enlightening and refreshing but most of all a reminder that all human beings should be treated with respect irregardless of our background,status or work. Thank you for this came at the perfect time for me. Will drop you message need advice in the same. Great post! Just a little to add; always treat people with dignity no matter how they treat/serve you. You might just be that one person capable of shedding some light on the other person’s life. You just never know what others are going through, so be a blessing to other people. I couldn’t agree more. I’ve seen this same thing in hundreds (or maybe thousands by now) of hotels, restaurants, etc. in more than 45 countries. I may not always succeed, but I have always tried to live by the suggestions you have made here and I encourage all travelers (whether you travel only in your neighborhood or around the world) in this life to follow suit. I have always been surprised by the level of effect such simple acts seem to have. Let’s make dignity and respect commonplace. Well said Owen and yes, I have not always succeeded in putting my own recommendations to practice —but I keep trying knowing its the right thing to do.